Isa. 9:6-7 “For unto us a child is born, unto us a son is given: and the government shall be upon his shoulder: and his name shall be called wonderful counselor, the mighty god, the everlasting father, the prince [sar] of peace. Of the increase of his government and peace there shall be no end, upon the throne of David, and upon his kingdom, to order it and to establish it with justice from henceforth even forever. The zeal of the Lord of Hosts will perform this. The Babylonian word “Sar” is doubtlessly related to the Hebrew word [sar *H8269] of the same spelling, meaning; “prince, captain, chief, ruler, leader, head.”1 The word has retained this meaning even in modern usage, as in the Tsar of all the Russias. As a testimony to what may have been based on the first human language, “Aesar” is a word for “God” in both, Icelandic and Irish, “Osar” in Egypt like “Osiris” was the prince. The English word “sir,” and the Roman “Ceasar” are also traceable to this root. In Isaiah 9:6, a great prophecy of the promised seed, its applied to the Christ as Sar-Shalom; the Prince of Peace, who will bring peace to all Creation [Eph. 2:11-18], as a result of his glorious return, marked by the prophetic Blood Moons. It is also used of Prince Moses in Exodus 2:16. Another view of the meaning of the Hebrew word for prince; “sar,” is Jesus Christ as the Prince of Peace and Creation embodying “the sum of creation,“ [Isa. 9:6]. 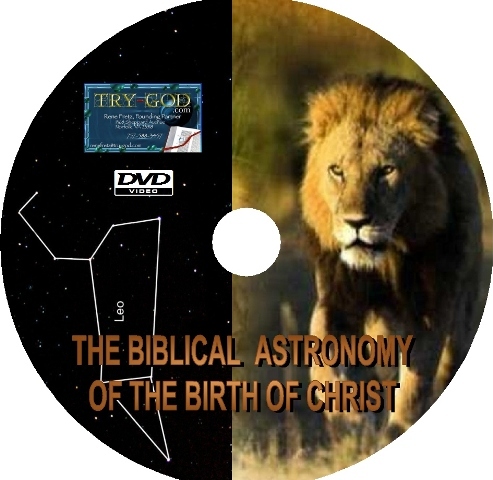 Rosh ha-Shanah on Tishri 1, was the “head” of the Hebrew calendar as New Year’s day and Jesus’ birthday, the first day of the fifty-year cycle of Hebrew Jubilees. Isaiah’s prophecy of the birth of Christ above, followed the basic temporal pattern of the holy days and feasts of Israel’s sacred calendar, set up by the Heavenly Father from the beginning. As we continue our study of the Blood Moon Tetrad of 2014-2015, we will see how the Hebrew Feasts and Holy days form the basis of the temporal and stellar patterns upon which God structured both appearances of His Only Begotten Son, Jesus Christ on the Earth. Thus the start of Jesus’ reign as King of Kings is marked on his birthday of Tishri 1, the “Day of Trumpets.” The significance of the King’s Coronation tied to Rosh Hashannah, New Years Day and the head of Israel’s calendar, is that Jesus as the King of Kings presides over all temporal, civil and sacred matters as the King-High Priest of Israel. God also marked this coronation in the heavens with the triple conjunction of the King planet Jupiter with the King star Regulus in Leo during 3-2 BC, based on Jupiter’s retrograde motion. 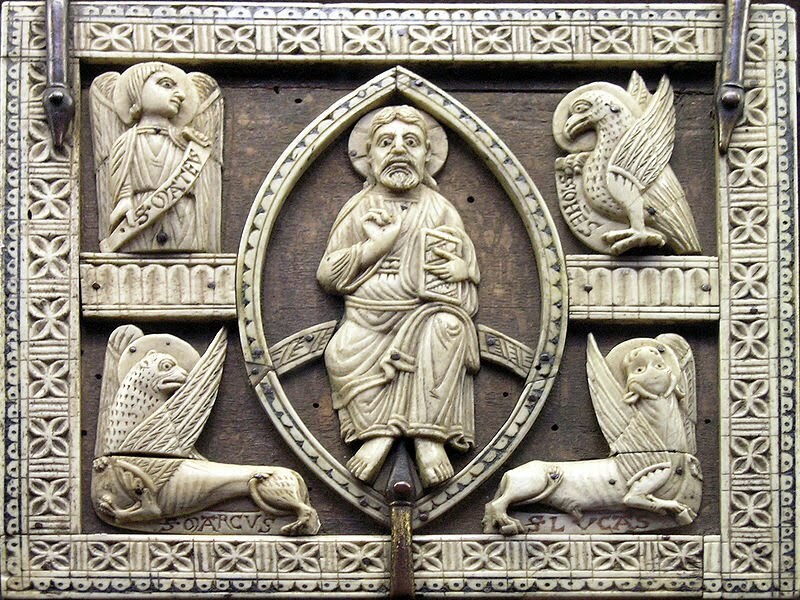 Thus, his birth on this key day in Hebrew timekeeping was foreordained by God, to fit the pattern of 7 primary Hebrew Feast and holy days of their sacred calendar, since before the foundations of the world. This critical date on the calendar of Israel is perfectly synchronized to mark Jesus’ birthday on New Years Day, Tishri 1, 3 BC. Thus it is fitting that a majority of Blood Moons would occur near this area in Virgo, symbolizing Israel, close to Spica-Al Zemach, marking the only begotten Son and offspring of God the Father. We can see the wisdom in understanding the dual significance of the Revelation 12 prophecy, as it not only applies to Jesus’ first appearance with his birth and sufferings, but also his victorious return in Glory. Almighty God has mirrored the heavenly signs marking the birth of Jesus Christ, 2000 years later in the Lunar light of the Blood Moon Tetrads and Israel’s gathering as a nation, to set the stage for the return of the Lord Jesus Christ. Since the months of the Hebrew calendar were lunar, based on the sighting of the new moon, the order of the lunar and solar cycles set the basis for the signs marking the birth of Christ. The Prince of Peace; Sar-zero symbolized in the Sun, embodied the promised “great seed” [Mal. 4:2], on at least seven levels; 3 of which are the ecliptic where upon the sun travels [Psalm 19:4-6], the moon-its (saros cycle), all within the circle that “encompasses” the heavens within the “bubble universe.” The numbers highlighting the Jubilee cycle [Levi. 25:4,8] combine 7, 12 and 50, which are at the core of God’s division of Space-Time into days and nights. 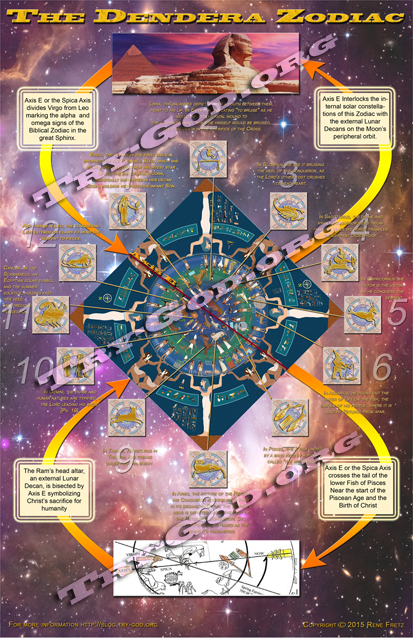 We find the roots of His “sacred geometry” in the famous 3-4-5 triangle, popularized in the ancient world by the Pythagoreans, but applied long before by Elohim the Creator and “Great Geometer,” as the Pythagoreans named Him. The affinity between the numbers 7 and 12 is found in this unique triangle because the sum of 3 + 4 provides the number of days in the week of Creation, the master-plan of all 7-day weeks to follow. It also numbers the 7 Spiritual Administrations making up all time. This relates back to the Biblical Hebrew root of “seven” [savah]; meaning to be full, satisfied and to have enough, indicated by God resting from His work in Creation, on the 7th-Sabbath day. This speaks to the perfection of God’s Creation, upon its completion, showing us the roots of the concept of the Sabbath day of rest. The sum of 3+4+5 gives us the number of 12 Months in a year, relating to the signs of the zodiac and the 12 tribes of Israel. The sum of it’s square’s gives us the number 50 related to Pentecost and the Hebrew Jubilee. When we multiply 3 x 4 x 5 it equals the base 60 numerical standard underlying the Precession of the Equinoxes, ordering of all Space-Time in Creation. 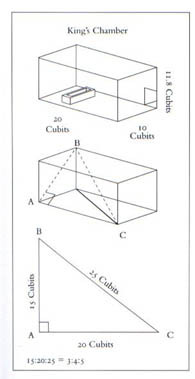 The graphic above shows the relation of the 3-4-5 triangle to the double square rectangle found not only in the dimensions of the Kings Chamber of the Great Pyramid, but also is the basis and ground plan of the Hebrew Tabernacle and Temple. The number 7 is a hallmark for God’s organization of temporal matters in Creation. It indicates the signature of the Hand of the Creator and His spiritual perfection incorporated in His Intelligent Design of Creation. It is the Living God speaking by way of His Words and His Works. Like the stamped seal of His signet ring, the number 7 is water-marked regularly in the divine division of His times and seasons. There were first seven days in the Sabbath Week of Creation and seven times these seven days began Israel’s counting to Pentecost. As Tishri, the holiest month of Israel’s Calendar is the seventh, so the seventh year is the Sabbatical Year, making the sacred order of God’s temporal division plain. Seven times these seven years brings us unto the fiftieth year of the Jubilee in Israel. 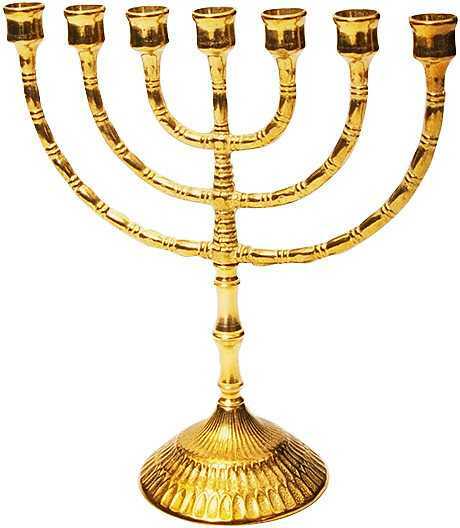 Some have wisely considered the candlestick or Menorah, to be a sacred symbol of seven, not only of the Sabbath week of Creation, but also the 7 stars of the 7 angels of the 7 churches, and their epistles, as Rev. 1:20 teaches. As we will see, this pattern of 7 continues with the structure and services of the Temple and Tabernacle, since they are symbols in miniature of the pattern of heavenly things, [Heb. 8:5]. This not only points out the recognition God is focusing on the Hebrew calendar with the Blood Moon Tetrad of 2014-2015, but it also points out the relationship between Tishri 1, the day of trumpets and the birth of Christ. Every 7th or Sabbatical year also commenced on the Day of Atonement during Tishri, the sacred 7th month. According to Dr. Martin, the year of 27-28 AD, Jesus’ 30th year, was the year he opened his ministry to Israel, was also a Sabbatical Year.6 Just as 2015 is a Sabbatical year, a year of rest and restoration for the land and soil, so also was the Jubilee, which was heralded by a chorus of trumpets. What better year than a Sabbatical year could there be for Jesus to carry out his ministry? What better day could there be for the renewal of Creation, than the birthday of the promised seed enacting its recovery? 28 A.D. was also the year that Jesus was resurrected and in this “year of our Lord,” Christ Jesus proved his Lordship over both the Sabbaths of days and years, for example by working seven healing miracles on seven Sabbath Days of rest during his ministry to Israel. Even as we found, the Feast of Tabernacles emphasized as the 7th feast of the Lord, during the 7-day week of this feast during Tishri, the 7th month so we see a similar emphasis with a Sabbath of healing Sabbath miracles, proving that he is indeed the Lord of the Sabbath.